How can LPAR2RRD help you in migration planning? 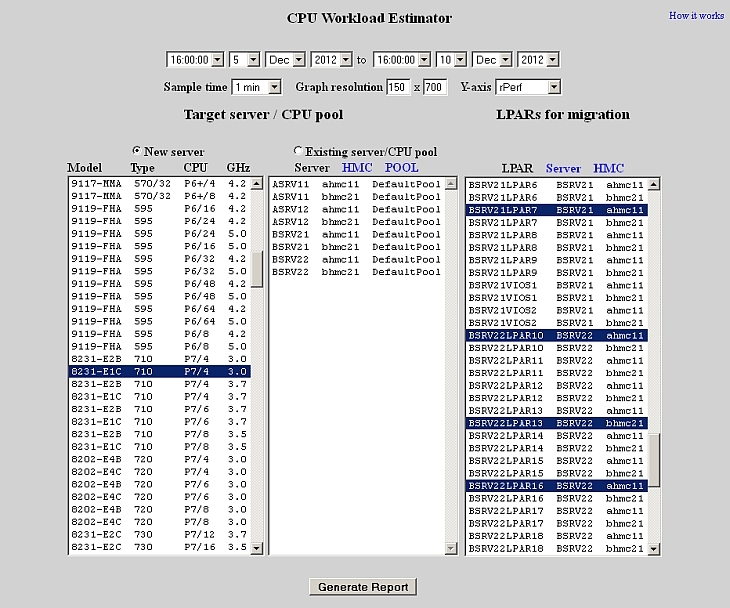 LPAR2RRD can be found very useful in migration or new deployment planning. 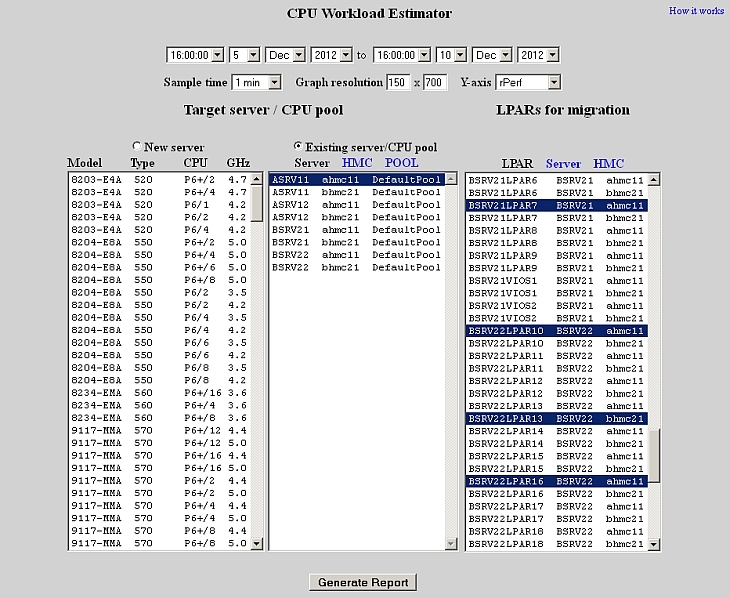 If you are going to deploy or migrate an application, that is already running and LPAR2RRD has its performance data, then CPU load on the new HW can be easily predicted. This will help you in accurate sizing of a new HW before purchasing it! The graph shows aggregated CPU load of all migrated LPARs in rPerf benchmark for period of 1 week since 5th Dec.
You can see there in bold black line max CPU capacity of the target server in rPerf benchmark. As per the graph is clear that the new target HW (p710) will not cope with all CPU peaks!! Therefore, another more powerful server should be considered. The only difference is that the target HW already exists and is utilized somehow. 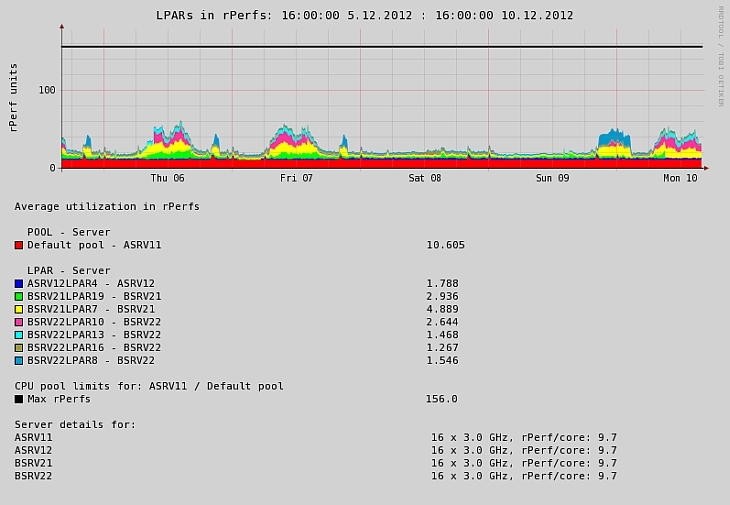 Then CPU load of migrated LPARs has to be added to already existing CPU load. 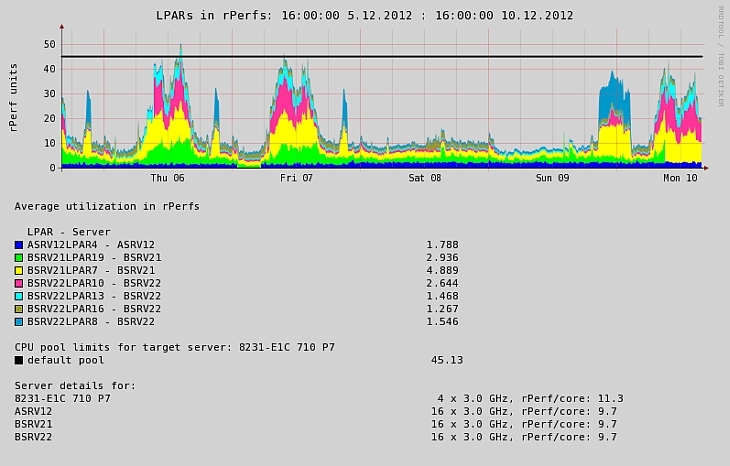 The graph shows again aggregation of all migrated LPARs together with existing CPU load on the target server (red area, 10.6 rPerfs) in rPerf benchmark for period of 1 week since 5th Dec.
As per the graph is clear that the target server will easily cope all new CPU workload. 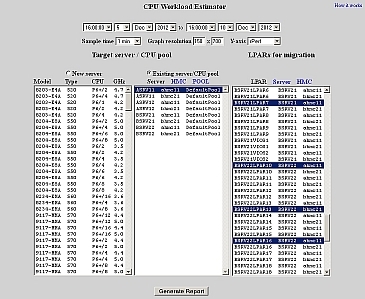 Note that as a target you can select any CPU pool on any server in your environment. Both above scenarios are based on rPerf benchmark which is one of benefits full LPAR2RRD distribution. You can test both scenarios in our live demo.